Scientists say bees fed a natural pollen-based diet are more resistant to pesticides compared to bees on artificial diets. “Honey bees are exposed to hundreds of pesticides, while they are foraging on flowers and also when beekeepers apply chemicals to control bee pests,” says Christina Grozinger, professor of entomology and director of the Center for Pollinator Research at Penn State. 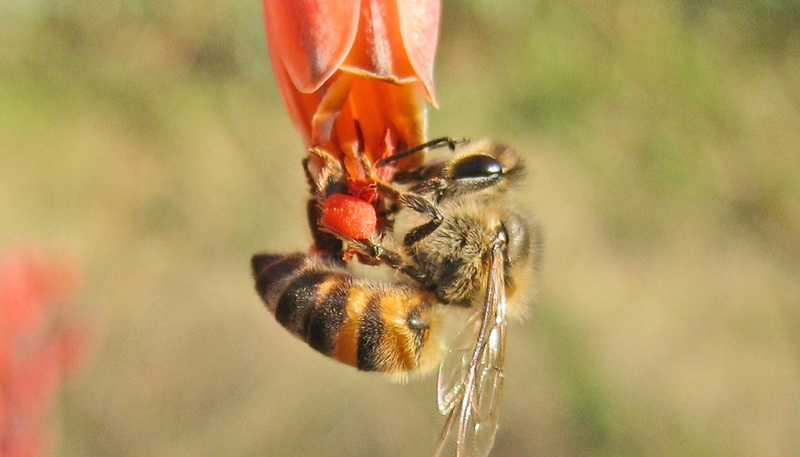 Grozinger and colleagues fed one of two miticides—coumaphos or fluvalinate, the two most abundant and frequently detected pesticides in the hive—to bees for a period of seven days. On the seventh day, the researchers extracted RNA from the bees, attached a fluorescent marker to the RNA, and examined differences in gene expression patterns—indicated by changes in patterns of fluorescence—between the pesticide-treated bees and the control bees. Based upon the results, the team performed several subsequent analyses aimed at understanding the impact of pesticides on honey bee physiology. One of these subsequent analyses examined the susceptibility of bees to pesticide stress after consuming a pollen diet or an artificial diet—either a soy protein or no protein diet. 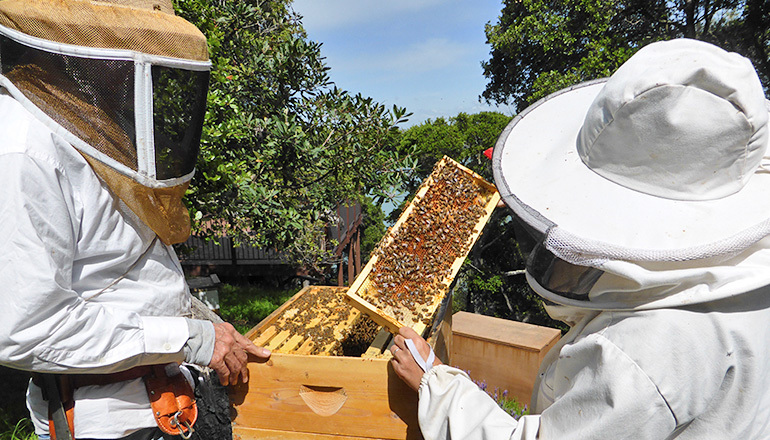 The team fed the bees these diets while simultaneously feeding them a lethal dose of the pesticide chlorpyrifos, an insecticide that is frequently used to control pests in agricultural crops and commonly detected in honey bee hives. They then recorded bee mortality daily for each of the treatment groups for a period of 16 days. The bees that were fed a pollen-based diet exhibited reduced sensitivity to chlorpyrifos compared to the bees that were fed an artificial diet. “This is the first time such a strong link between pesticide exposure and diet has been demonstrated at the molecular level, and the first time the effects of artificial versus natural diets have been explored in terms of resistance to pesticides,” says Grozinger. “Diet and nutrition can greatly impact the ability of bees to resist pesticides, and likely other stressors. 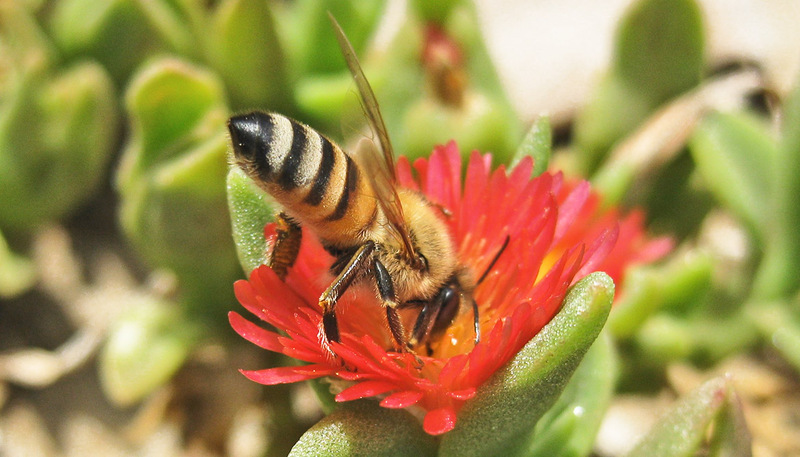 However, agriculture and urbanization have reduced the amounts and diversity of flowering plants available to bees, which likely nutritionally stresses them and makes them more sensitive to these other stressors. Other authors of the paper published in the Journal of Insect Physiology include Peter Teal of the US Department of Agriculture and James Frazier of Penn State. The USDA’s Agriculture and Food Research Initiative funded this research.